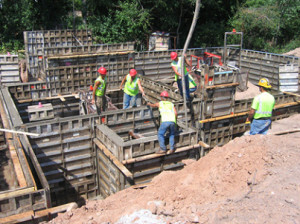 Dolmen Civil Works specializes in both commercial and residential concrete construction to include: slab work, exterior paving, curb and gutter, concrete driveways, sidewalks, custom patios, foundations, concrete slabs, stamped concrete, colored concrete and just about anything you can imagine when it comes to your concrete construction needs. We take pride in our work and assure you that no job is too big or small. With years of experience in construction and a sterling reputation for superior attention to detail and customer service, we’re poised to make your construction needs a reality. Exceeding our client’s expectations is our mandate. Seeing your project realized is our passion. 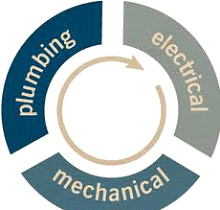 Dolmen Mechanical, Electrical and Plumbing (MEP) Dolmen MEP prides itself primarily with a group of professionals with wide experience in some of the world’s finest and most respected businesses. We have a team of dedicated people capable of handling all engineering challenges in a systematic and professional manner to ensure world class and timely delivery. Our Sales, Projects, Service and Back end teams are constantly improving processes and technological skills to better serve our customers. Our expertise and proven track record of executing large projects help us emerge as one of the finest MEP contracting companies in Lebanon. As part of our expansion plans, the company has ventured into Electrical, Plumbing and Fire & Safety contracting as well. Equipped with an outstanding team, we have several ongoing projects in this field and our single window solution capabilities in the field of MEP contracting give us a cutting edge. Dolmen FinishingDolmen Finishing offers blockwork, plastering, painting, ceiling works, flooring works, woodworks, FF&E. We also perform thermal insulation installation, spray-on fireproofing, as well as EIFS (exterior insulation finish system). All of our craftsmen in this division are journeymen carpenters who work with precision and great care. They work with one goal in mind: to deliver an outstanding performance on each and every job. You can have confidence in knowing that by working with Dolmen Finishing, you will be working with a highly motivated, skilled workforce that is committed to delivering the highest quality job. Our crew self-performs interior finish services on projects in residential commercial and shopping mall sectors. Our craftsmen are also available as a subcontractor on independent projects as well, operating with the same standards of integrity and quality for which Dolmen Development is known. When you contract with any of our divisions, rest assured you’ll get the experience and expertise of the entire Dolmen Development Group.